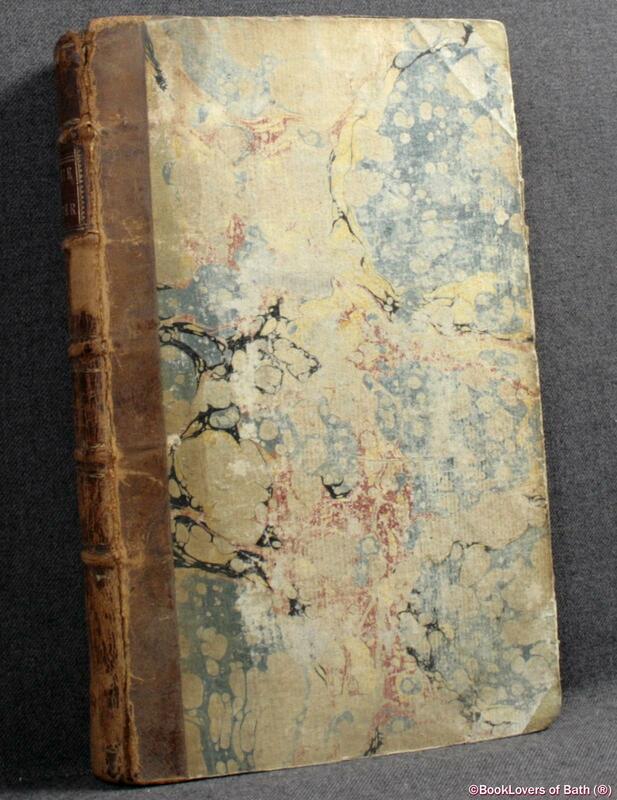 Edinburgh: Printed for W. Gray, Edinburgh; and J. Buckland and G. Keith, London, 1775, Hardback [¼ Leather]. Condition: Poor. Raised bands and spine ends worn. Marbled boards now faded and rubbed heavily. Dunnichen Library plates to both pastedowns. Previous owners' gift inscription to the first blank and title page. 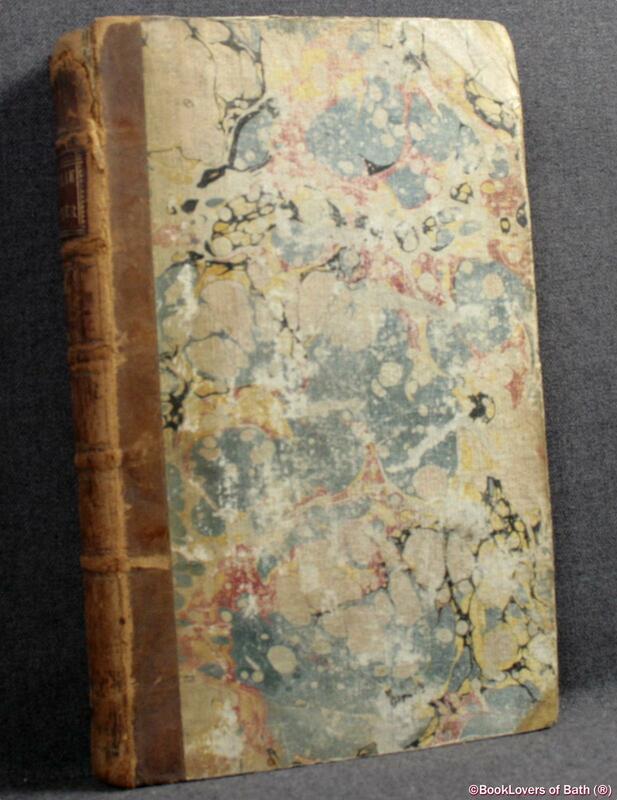 Pages lightly age-tanned. Slightly fragile with age now, with scattered spotting and some toning to the leaves. 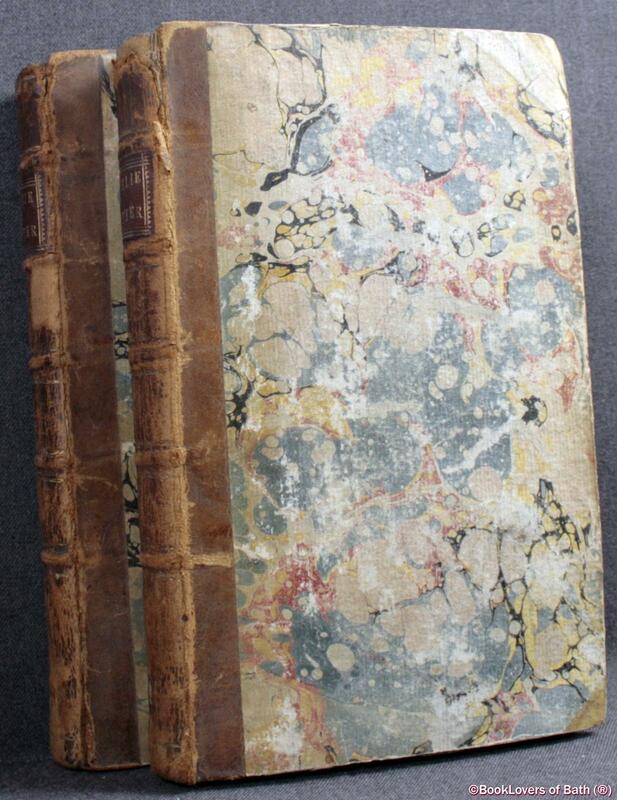 Complete in II volumes. Containing an impartial account of public transactions, civil, ecclesiastical, and military, both in England and Scotland, from 1637 to 1662; a period, perhaps, the most remarkable that is to be met with in the British history. 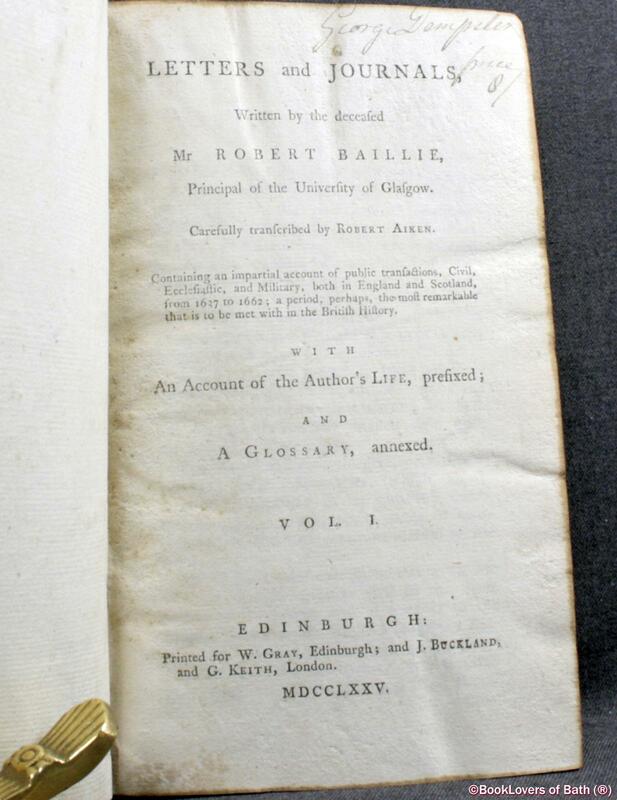 With an account of the author's life, prefixed; and a glossary, annexed. 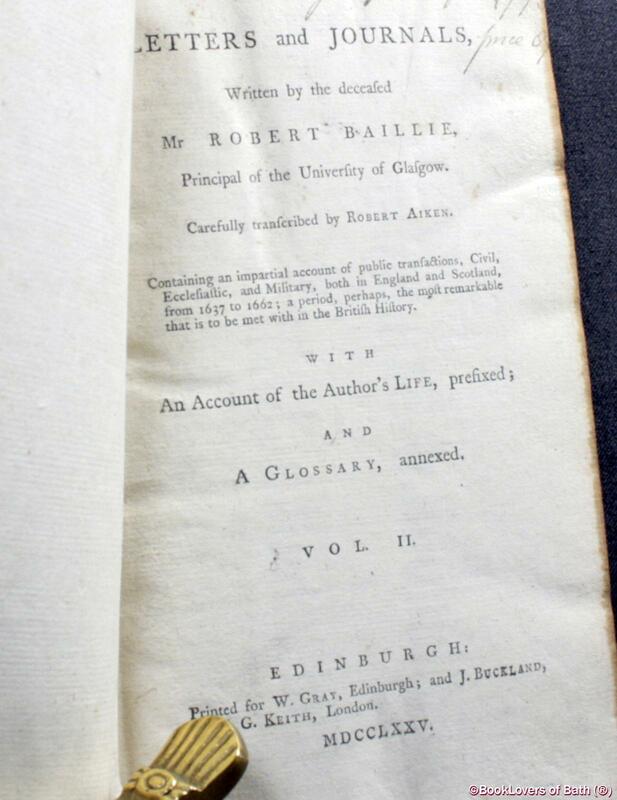 Baillie, Robert (1602–1662), was a Church of Scotland minister and author, son of James Baillie, merchant burgess of Glasgow, and Helen Gibson, and born in Saltmarket Street, Glasgow, on 30 April 1602. He attended Glasgow grammar school and between 1617 and 1620 the University of Glasgow, graduating MA. Size: 8¼" x 5¼". [VIII] 456/462 pages.